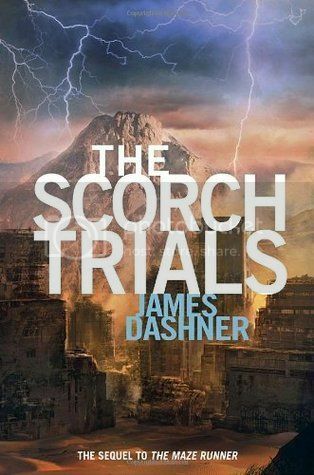 I started my re-read of The Scorch Trials for part of #DashnerDash, a binge read of the Maze Runner series by James Dashner, and also because I haven't seen the movie yet, and I almost always have to read the book before I watch the movie. It was great to re-read this story again, as most of the story wasn't as clear in my mind as when I reread The Maze Runner, so it was nice to get in a little refresher!! I first read The Scorch Trials a few years ago, and as with the first book, my first time reading it was actually listening to it on an audiobook. I enjoyed reading the print version this time, and I feel like I gained a little more information this go around. As I mentioned above, there was a lot that I have forgotten from the story, and it was almost like reading it for the first time. I know I may have said this in my previous review of The Maze Runner, but I really, really love so many of the characters in this book, and I adore the friendships that have been forged between them. Thomas, Minho and Newt are such great friends. With all the things that they have to go through as the story goes along, you can't help but appreciate their friendship. The storyline for the book is just as addictive as that of the first book, and I was completely hooked throughout the story, waiting to see what was going to happen next. I have read this book before, and I was still hooked! I love rereading a story and enjoying it as much as I did the first time. Surprisingly, I really enjoyed the movie for this book just as much as I did the first movie. I'm not usually a fan of movie adaptations that have lots of changes in them, but I was so engrossed as the movie went along, that they didn't really bother me. I love the cast of characters. They are perfection, and I can't wait to see them all again in the next movie!! Overall; Both the book and the movie were great additions to this awesome series, and I can't to continue the read-along and dive into The Death Cure next!! You still have time to join along in the series if you haven't already!